During WWI a "Kurier" Moscow - Vladivostok continued to run with CIWL cars, but not exclusively. In 1916 also the all-Russian line via Khabarovsk was completed. In 1918 the communists requisitioned the CIWL cars, but from Vladivostok westward as far as Omsk in 1919 services were reported and one train set possibly was composed of CIWL cars only. In October 1922 the Soviets finally occupied Vladivostok. 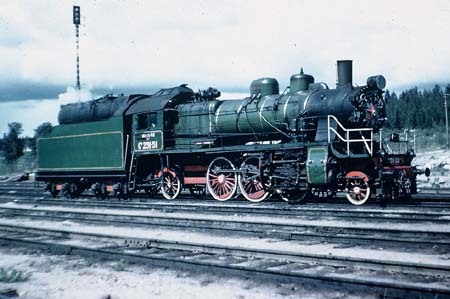 The German DR timetable off 1925 mentioned a Kurier 2/1 from Moscow with a connection from Negoreloye, every two weeks to Vladivostok via Perm - Khabarovsk and once weekly with a sleeper to Chita. Reports about a service from Riga to Vladivostok and via Chita to Manzhouli at that time seen doubtful. 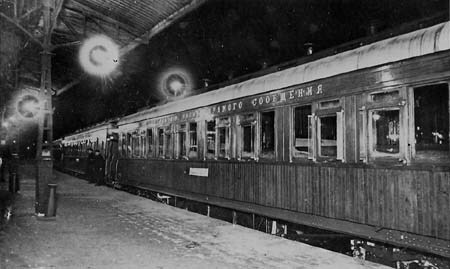 In 1926 there were talks about a "Europa-Pazifik-Express" Riga - Manzhouli - Vladivostok, consisting of 2 sleepers 1st 2nd class, a sleeper 3rd class, a diner and a van, all by CIWL cars to be handed over from the Soviets. For 1927 this "Transsiberien de luxe-Express" was planned to run from Moscow to Vladivostok in 10 days and connections via Warsaw, Riga and even Tallinn were envisioned, but then the Soviets refused (see Jean-Paul Caracalla, Jean des Cars: Le Transsiberien). Also Mitropa's secret talks with the Soviets led nowhere, because Russia demanded a 51 percent share in a joint company. 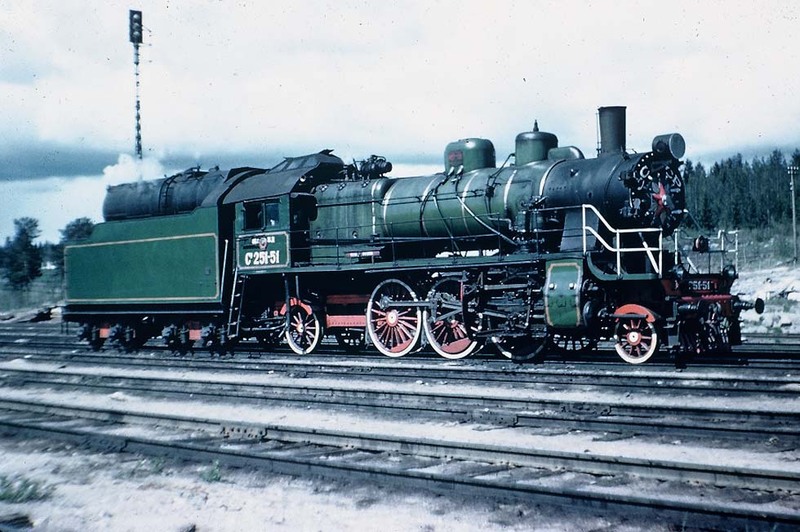 From 1927 Jules Sauerwein ("30 ans a la une") confirmed a service to Manzhouli with a single ex-CIWL sleeper. These sleepers showed the label SVPS, the SZD division for long-distance sleeper services. In 1929 Hendschel's Telegraph timetable registered those sleepers from Stolpce/Negoreloye and Riga to Manzhouli and Vladivostok. From 1933 Daugavpils - Far East and a once-weekly de-Luxe are reported. CIWL however found, that all trains existed of ex-CIWL sleepers, diner and a van, combined with ordinary cars. 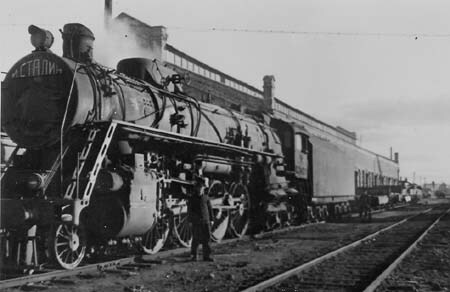 A Trans-Siberien de-Luxe was improbable after the Japanese had invaded Manchuria in 1931. 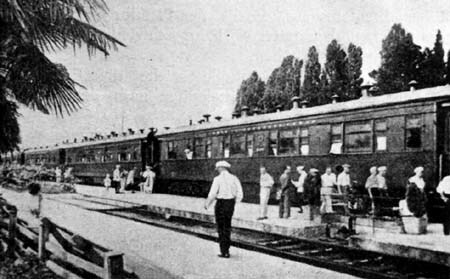 From 1935 a report by E. Schreiber could suggest an exclusive ex-CIWL train at departure from Manzhouli, consisting of a SZD van, an ex-CIWL “fourgon” with bath and obviously the diner and a sleeper, both wooden ex-CIWL cars, possibly at Chita combined with other cars. In 1937 the DR timetable showed a once-weekly de-Luxe, but the Soviet timetable refuted it, as well as the Nord-Express connection by Kurier 4/3. The booklet, smuggled out of the Soviet Union by Franz Gruebl, a German engineer then working in the Ural, showed no. 5 Negoreloye - Moscow Smolenskaya and Yaroslavski with cars from Negoreloye to Khabarovsk, and alternating to Vladivostok and Manzhouli. Another train no. 42 Moscow - Vladovostok included a sleeper Leningrad - Kirov - Vladivostok. For 1940 the Lithuanian timetable mentioned through sleepers Gudagojis - Vladivostok and Manzhouli by Kurier 2/1. From October 1940 a broad gauge train Vilnius - Moscow is reported. A diplomat, Carsten Grodtmann, told about his voyage to the Japanese empire in 1940: “At Radviliskis (?) we had to change to a broad gauge train, but due to late-running we had lost the connection. In the small place there was a sort of guest-house and we stayed there for three days, playing bridge. Somewhere else and at Moscow we once again had to change trains. On the trans-Siberian express there were 2-berth cabins with lavatories between the compartments, a dining-car and cars with wooden plank-beds. At Manzhouli we had to change once again, now to a train with Pullman berths and a diner to Harbin”. 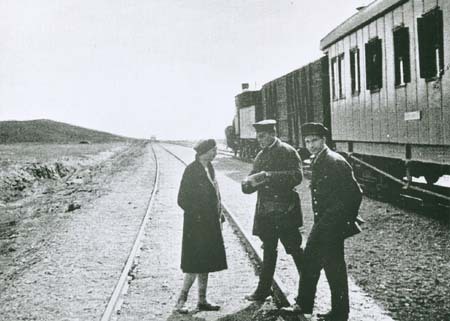 Margret Boveri (“Verzweigungen”) reported the travel through Siberia in August 1940 together with Jews who escaped the Nazis, the eight hours’ stop of the express, which had been reduced to 3 or 4 cars, at Otpor border station, the arrival of the train, now consisting of only one crowded car, at Manzhouli, change of train there and still several times, finally a long walk at Busan to board the steamer for Shimonoseki, Japan. 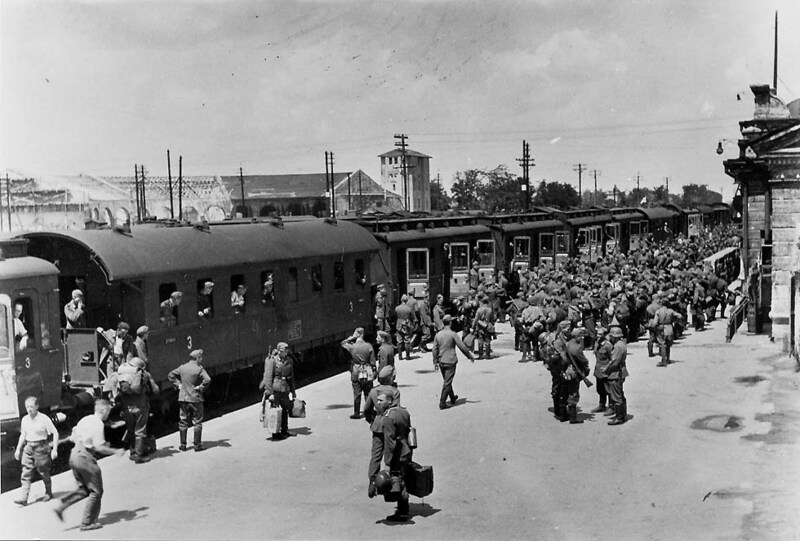 When in October 1941 German troops attacked Moscow, hundreds of trains left the capital for Siberia. Locomotives from the West appeared there, including the Polish Pt31 (2-8-2), the FD (converted to 2-10-4), and as a locomotive driver, who emigrated to Israel, later confirmed, also "Josef Stalin" express passenger engines. About a travel in January 1945 from Moscow to Karaganda, Johan H. Wigmans ("Einer von Millionen") reported: "The train could run also in Western Europe, if there were not the compartments adaptable for sleeping, three berths one above the other … At Gorki we are waiting three days for the next train to the Ural … sometimes the police controls the passengers, but the stowaways on the roofs are not troubled… Also our train conveys a Stalinski…". That's a box car with prisoners. When U.S. Admiral Leslie C. Stevens in 1948 managed to pass the armed guards at Moscow Yaroslav station, he saw the express for Vladivostok, its crowded cars with the plank-beds and "finally the red international car, which is placed in the middle of every important train" - probably the wooden ex-CIWL sleeper. From 1948 the typical new cars, profile 0-T, the first ones built in Eastern Germany, began to replace the old 1-T cars. The ex-CIWL cars disappeared long before in 1966 the Kurier 2/1 became the express 2/1 "Rossiya". 4-5 Myagki, Zhestki Kup and Zhestki. Traction around 1938 on all route segments: Series S (2-6-2).